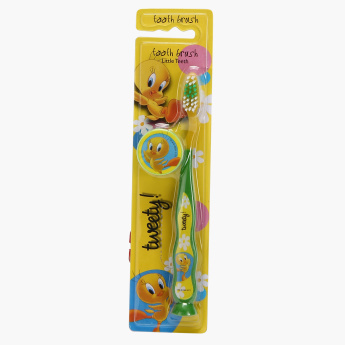 Tweety Printed Toothbrush with Cap | Multicolour | Tweety soft bristles children's Tooth Brush with Cap. 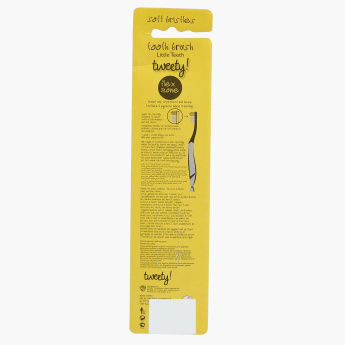 Exhibiting a charming design, this toothbrush is sure to make brushing teeth more fun. It sports a print of Tweety and comes with a cap to protect the soft bristles when not in use. Feature 2 : Comes with tweety character to ensure your children have a fun time oral care. Feature 1 : Tweety soft bristles children's Tooth Brush with Cap.